Auto industry, computer,cellphone, household electronic parts. 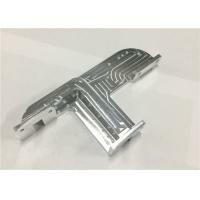 We have a variety of machining&injection equipment to support both big and small orders,70% imported from Japan,Germany and Switzerland with high precision,like Fanuc,Sodick,Hardinge, DMG, OKAMOTO, DEMAG,Tesa CMM,etc.so you can expect very high precision parts from here,and we promise all parts 100% inspected before shipping out,if you find any quality problem,we will replace free of charges. we guarantee 100% quality standard,if you find any quality problem,we'll replace free of charges. prompt and professional communications within 2hours upon emails.